Home makeover shows are popular on television, but how often do you see a school makeover? The lobby at South Ridge Elementary has gone from a drab waiting room to a bright, welcoming space for parents and children, thanks to some hard work by school staff. Counselor David Payette originally hoped to create a parent library, with books and resources for parents. He contacted school librarian Emily Crawford to see if she could help. Crawford had actually established a parent library in each of the six school districts she worked in over the years—but found they got virtually no traffic. Crawford and Payette tried to find a way to make the parent library more accessible. “I did the research on parent centers, and I saw a quote that said, ‘If you want it to be successful, it has to be in a high traffic area that is unavoidable,” Crawford said. “And I thought our lobby really needed a facelift. So it was perfect.” Payette and Crawford wrote and won a grant from the Ridgefield Public Schools Foundation to create the transformation. They purchased books that addressed a wide range of parent needs, from behavior issues to blended families, as well as books that parents could read to children. They developed a checkout system for parents. And they posted additional community activities and job opportunities on the bulletin board. In addition, they redesigned the lobby to be more comfortable and welcoming. Large, comfortable cushioned chairs replaced the old metal chairs. Crawford and her father repainted the lobby. Bookshelves and an area rug were added to enhance the space. 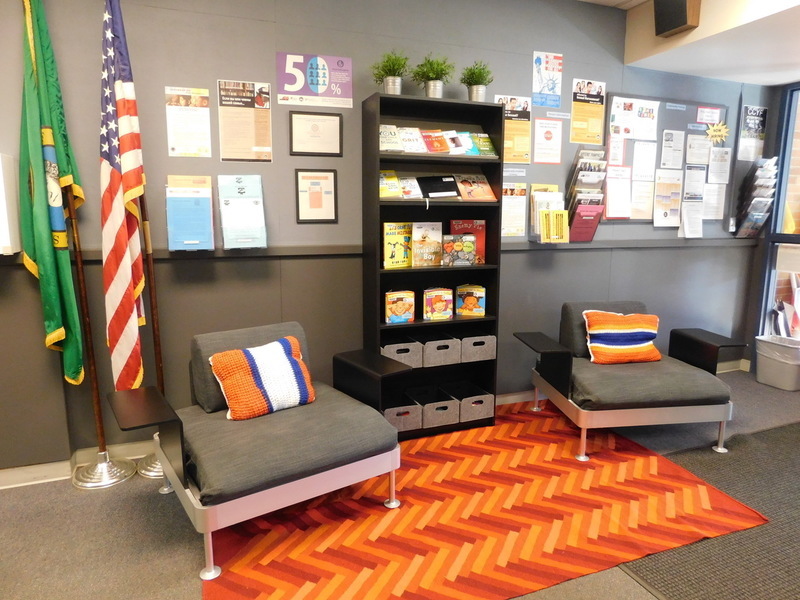 The new parent Resource Center offers help and support for parents in a comfortable, inviting space. 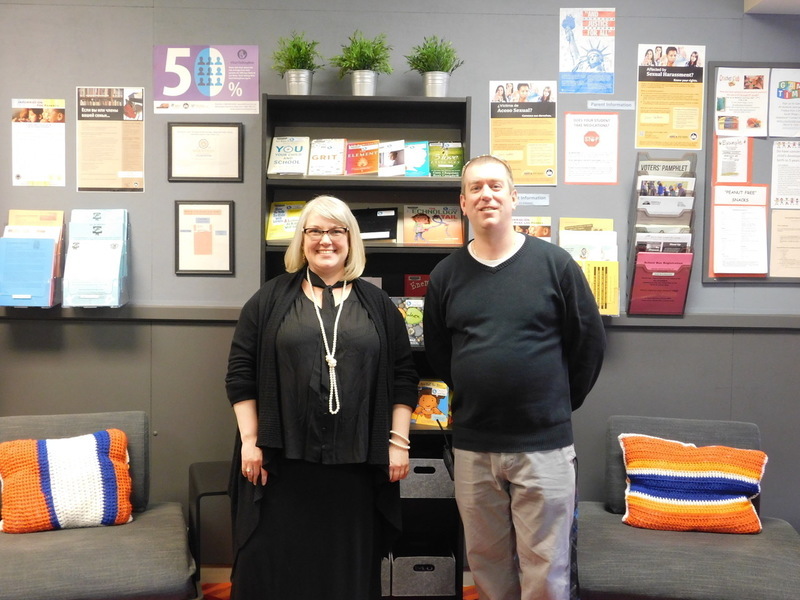 Crawford and Payette created a dynamic resource center that provides help and support for parents and students. More changes are coming to the Parent Resource Center soon. The student-run print shop at the high school, the Sprinters, is making a sign for the lobby. And a computer kiosk will be added in the coming weeks so parents can access more online resources. Crawford and Payette plan to keep adding to the center as needs arise. The Parent Resource Center is open during school hours. To visit outside of school hours, make an appointment by emailing Emily.Crawford@ridgefieldsd.org There will be a grand opening event on March 15 at 5:30 p.m., just before the school’s Movie Night. Stop by to sign the guest book and let them know what other resources you would like to see.